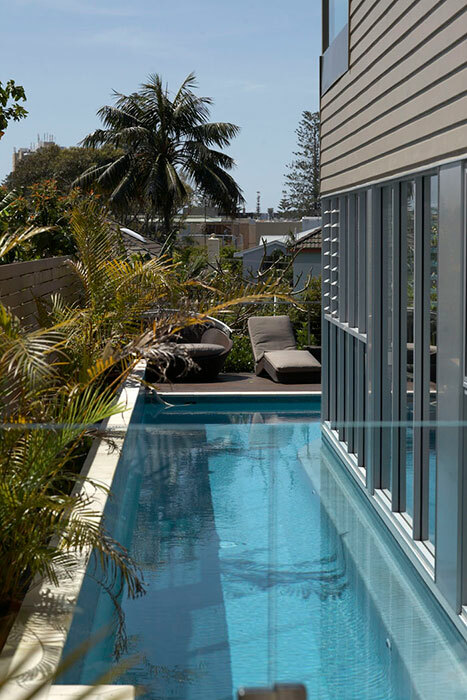 Located in a beautiful Sydney beachside suburb, the brief required a sun drenched Balinese feel coupled with Australian beachside living. 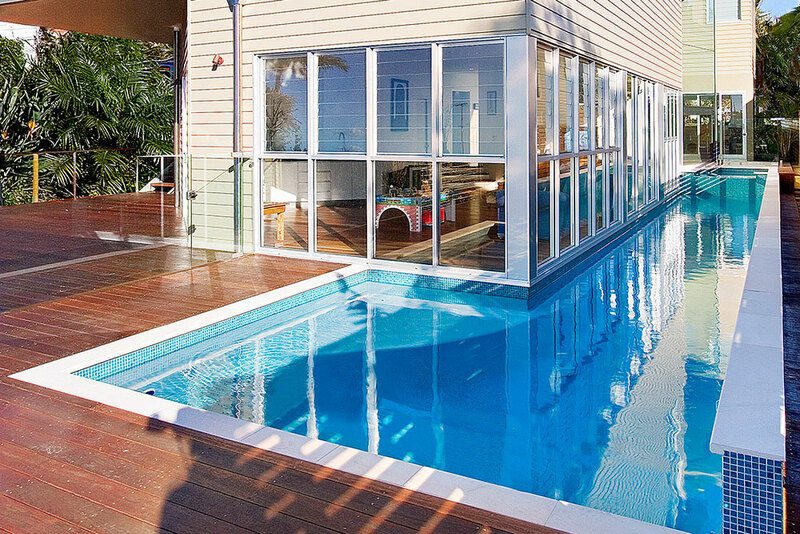 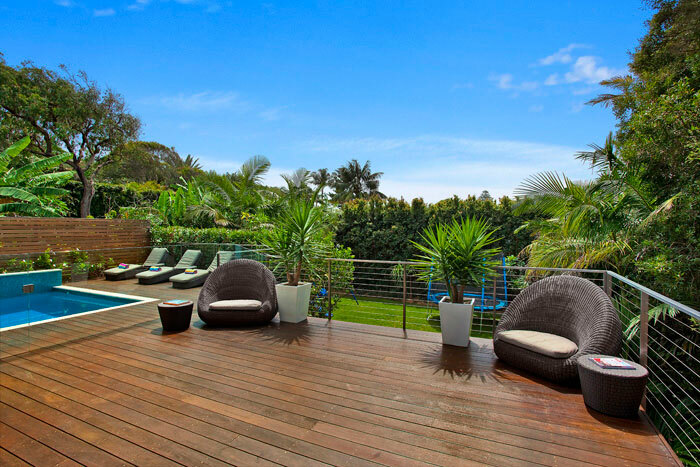 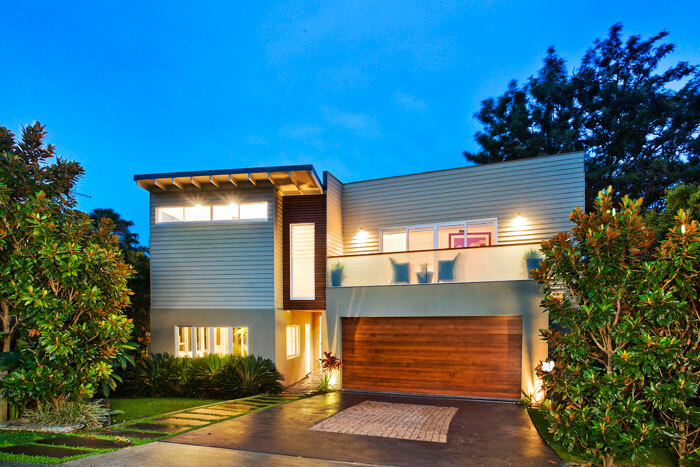 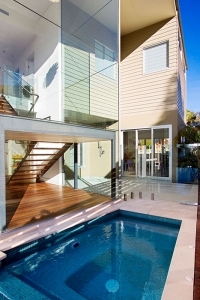 Generous outdoor timber decks and courtyards replicate the character of beachside homes. 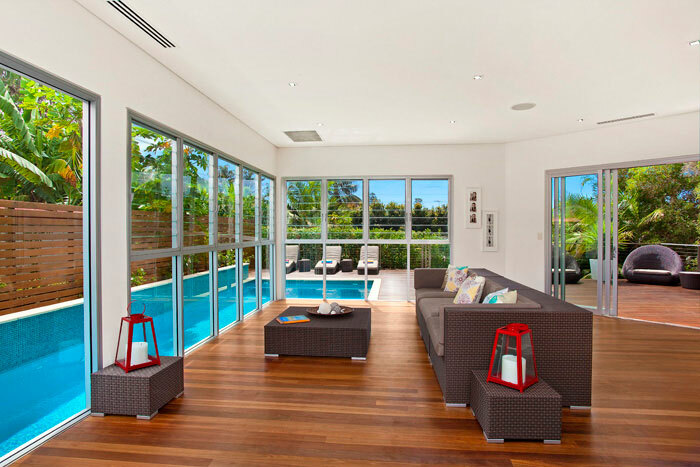 The gas heated lap pool on the ground floor provides a stunning outlook from the large living and rumpus rooms with shadowline ceilings. 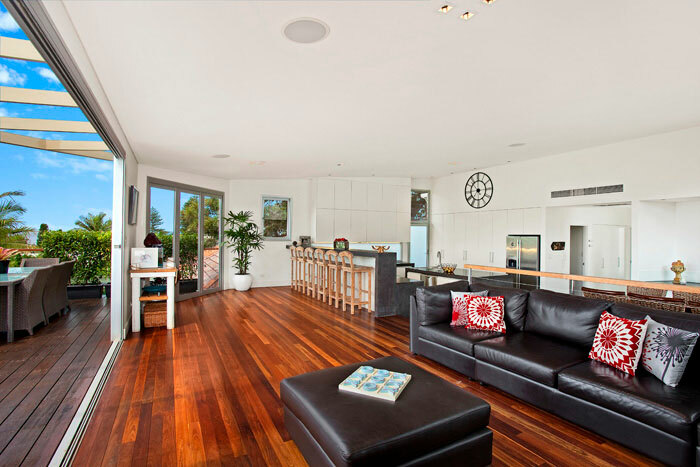 The upper living room has bi-folds opening to a sun washed balcony extended out towards the backyard to take advantage of the ocean views and sea breeze from the coast. 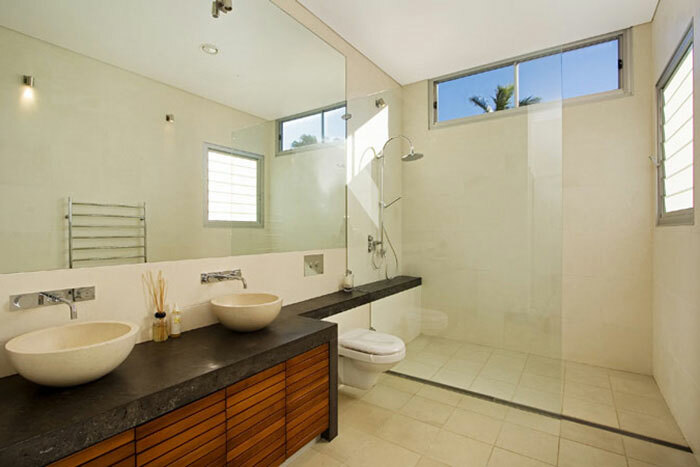 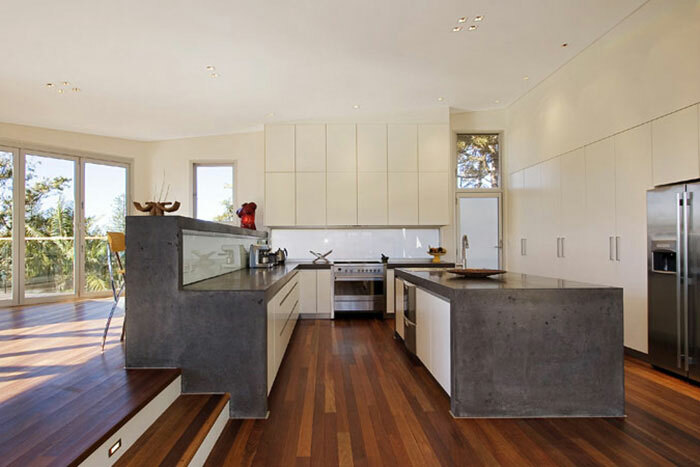 Fully ducted air conditioned with chic tiled bathrooms and oversized double garage with internal access and storage this house was designed by Jo Gillies.